Priden Engineering started three decade in 1988 and is one of the leading engineering companies in the country which has the expertise, knowledge and skills to deliver engineering solution projects across an array of manufacturing spectrums and industry sectors. In it’s early years, it mostly served the road transport industry, animal feed and stainless steel fabrication sectors. Today, company now has four factories within four acres and a 100+ strong skilled workforce renowned as some of the best engineers in the business Delivers a complete service from consultancy, through to design and build. After an extensive rebrand with Brave, Priden were ready to enlist us as their website design agency. Brave acted as a fully integrated service agency partner for Priden, focusing here on web development and graphic design for this project. Our expertise helped them increase their digital brand exposure, create a well deserved authoritative image and pushing the core values across to past, present and future clients. 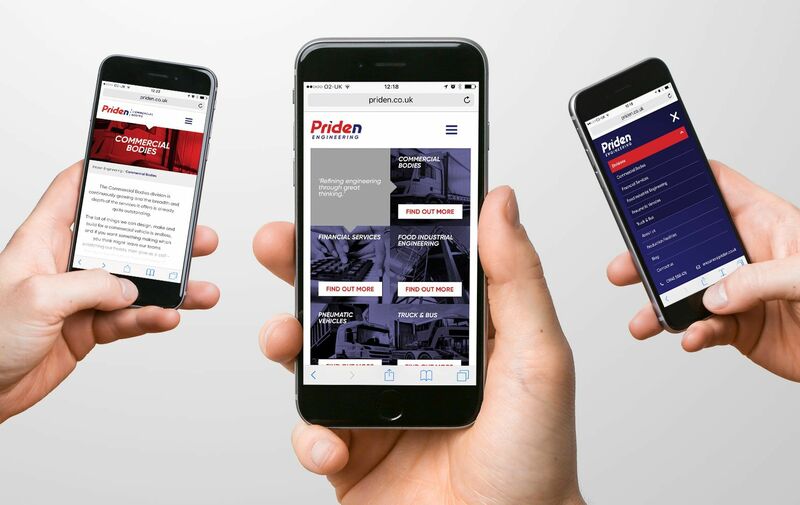 The importance of mobile for this project was vital from the outset, since the user journey with the existing site showed clear frustration when users on mobile were attempting to engage with Priden. We talked in detail with the client, understanding their vision for the brand online and what they wished to achieve. They asked for an individual, bespoke looking website to sit in their landscape, with effects and functionality that would impress a potential lead coupled with a clean and elegant design to match the rebrand we’d been part of. The website’s main objective was around gaining leads and this was a the core functionality in terms of making sure it was easy to impress, engage and then get a contact – we also needed to understand about making sure the process was simple. 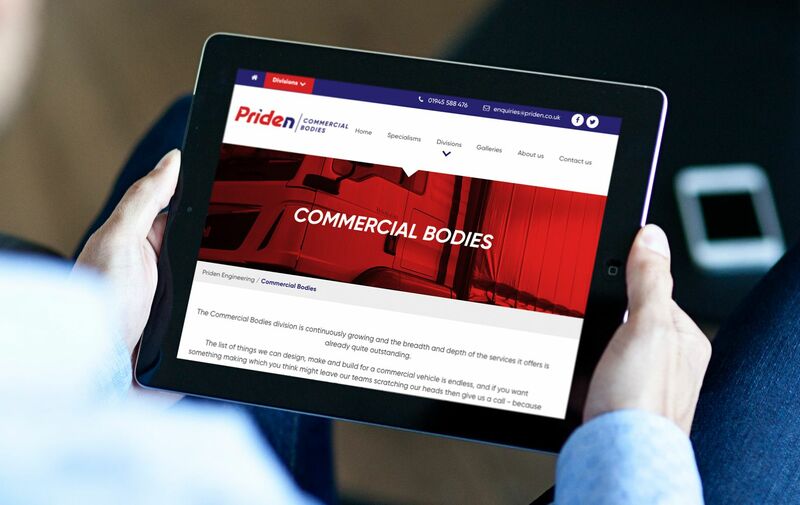 Given that Priden Engineering have five target industries they aim at, the challenge was to ensure a visitor knew which industry sector they were in, could find the relevant information and make contact to the right department within Priden. The user journey ultimately had to be mapped out with our content team which meant we were able to use some sophisticated WordPress multisite techniques and advanced front end development coding strategies. The strategy was clear in that we needed to provide clear calls to action to reiterate other service offerings where-ever you landing within the site. Customer journey mapping is a key part part of our web design process, we planned on page content and functionality right from the beginning to make sure when our web designers arrived at the creative stage, the UI (interface design) would maximise the user experience. For us, wireframes are pivotal and requirements to low-resolution prototyping. 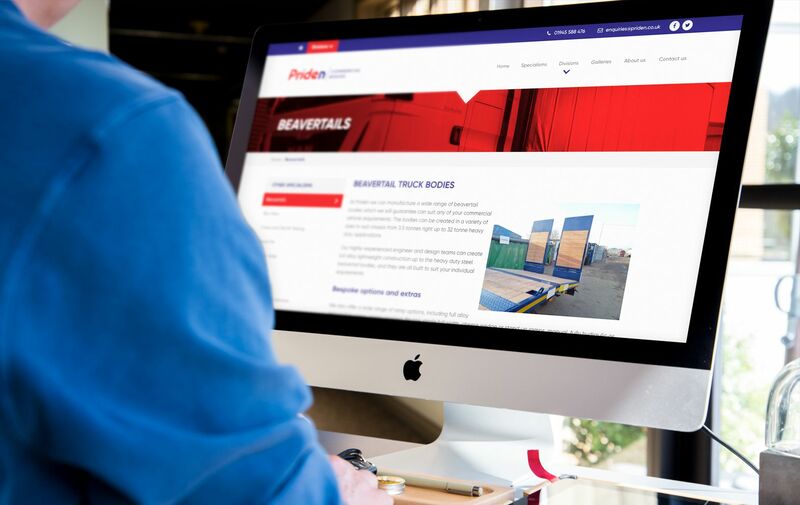 The new website redesign now places the products/services front and centre, and presents the brand voice with a clean and elegant strong impact layout which matches perfectly with Priden’s new brand guidelines. By doing this, we were able to match all marketing collateral, be that online or offline. A key part of any lead generation website is communication, engagement and clear calls to action. Using clean modern lines and some sophisticated front-end development style coding standards, we were able to keep a strict branding palette, stick to firm typography rules and perfectly balance photography effects to ensure visual engagement. The website when launched was well received by stakeholders and existing clients of Priden. It was a website they were pride of and rang home the “Pride in Priden” slogan we came up with. By prioritising consistency, clear page interactions and a slick design for responsive multi-device compatibility as well as avoiding the usual trap of complex confusing navigation when users become too overwhelmed or confused – we managed to crack this by careful content planning and listening to what the users needs were. 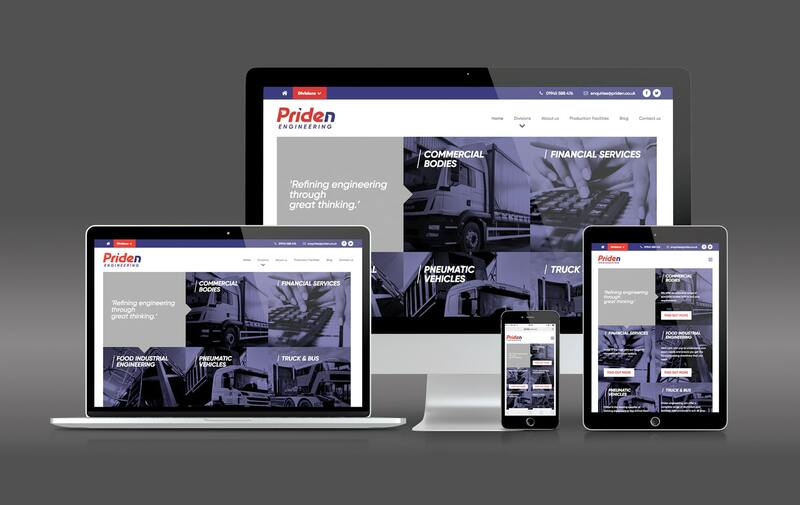 As a team, and a web design agency that work together as a collective, we’re proud that the Priden Engineering website was a visually inspiring and seamlessly easy-to-use website design and is today used as a strong lead generation tool.